One hundred years is a long time by any measure. During the century ahead of us, we can expect countless unforeseen events to occur. By the same token, we can take comfort in the knowledge that certain things will not happen. Anyone who has purchased one of LIXIL's latest SATIS model toilets, for example, will not have to worry about it staying clean during those 100 years. It sounds like a remarkable claim, but LIXIL, the Tokyo-based global leader in housing and building materials, products and services, has after 25 years of research developed AQUA CERAMIC, a technology that makes scrubbing the toilet to rid it of stubborn limescale and other stains a thing of the past. The latest model in the SATIS range, which is designed to be used in the average home and incorporates the state-of-the-art AQUA CERAMIC technology, was unveiled in March under the confident slogan, "One Hundred Years Clean." LIXIL is now working to expand the range of models utilizing this technology. 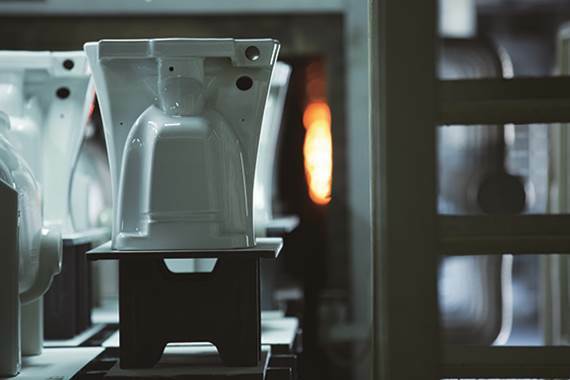 LIXIL has led the industry by creating products targeting the causes of toilet stains, including scratch-resistant materials and Kilamic, an anti-bacterial technology. However, developing technology that can simultaneously prevent both dirt and water stains had been a long-standing problem, as tackling one type of stain typically decreases effectiveness against the other. LIXIL Corporation Based on years of fundamental research into sanitary ceramics, Yoshihito Okumura of the Material Science Lab at LIXIL R&D has focused on one core question, "Can we prevent actual stains forming on the ceramic by rethinking toilets from a materials perspective?" Repeated trial and error resulted in LIXIL's AQUA CERAMIC. AQUA CERAMIC is the first material in the world that is able to address the four main issues that affect the cleanliness of toilets: scuffing and scratching, marks from waste, stains caused by prolonged exposure to hard water, and the build-up of bacteria. The technology incorporates super-hydrophilic performance in the surface of the ceramic, which permits the rinse water to permeate beneath any waste that may have become attached to the ceramic. And as the stain relinquishes its hold, the water simply lifts it and flushes it away. The more problematic issue of hard water stains, which are caused by silica in the rinse water chemically combining with hydroxyl groups on the surface of the ceramic, has also been solved. AQUA CERAMIC reinvents toilet materials by using a structure that does not expose hydroxyl groups, meaning that hard water stains are unable to build up and the ceramic surface remains flat and smooth. "I don't often use the word 'revolutionary,' but this truly is a revolutionary product in the world of sanitary ceramics," said Dr. Andrew Dent, head of the research team at Material ConneXion, an international consultancy which is tasked with seeking out the most innovative materials in the world. "I've been in this business for about 15 years and it's rare that I can actually find a material technology that surprises me," he said. "What was so exciting to me was that this company has solved one great challenge when it comes to interior products, which is the need to clean," he added. "Products with the AQUA CERAMIC technology are exceptionally easy to clean, with stains lifting off with only the smallest amount of water." Staining is the biggest challenge that faces companies in the sanitary ceramics sector, Dr. Dent said, and the problem falls into two broad categories: short-term and long-term staining. "Short term staining typically consists of stains that occur on a daily basis that you want to be able to clean off and can normally clean using a detergent," said Dr. Dent. "The second is more long term, which comes from limescale, and that is a stain which cannot really be removed by any sort of cleaner." AQUA CERAMIC has made both concerns a thing of the past. "AQUA CERAMIC has an exceptionally strong attraction to water, so whenever water comes across the surface, it literally lifts off stains. And the limescale is unable to attach itself onto the ceramic - so it simply flows past," said Dr. Dent. 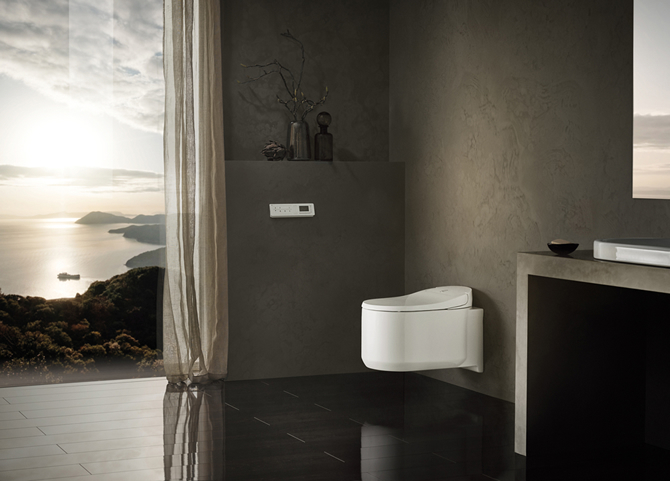 To make sure that the SATIS toilet retains its non-staining properties for 100 years, LIXIL has developed a new glazing technique that integrates a substance with unique properties to resist waste and hard water stains at the molecular level. Exhaustive testing has demonstrated that toilets which incorporate AQUA CERAMIC technology will not show wear for more than 100 years and that with basic, regular care, the toilet will shine as if it was only installed a day earlier. "This surface means that you virtually don't need any abrasive cleaners. You can use very mild detergents and that surface should remain stain-free for 100 years," Dr. Dent added. "And, of course, using less and milder detergent, as well as using less water, is a benefit to the environment." 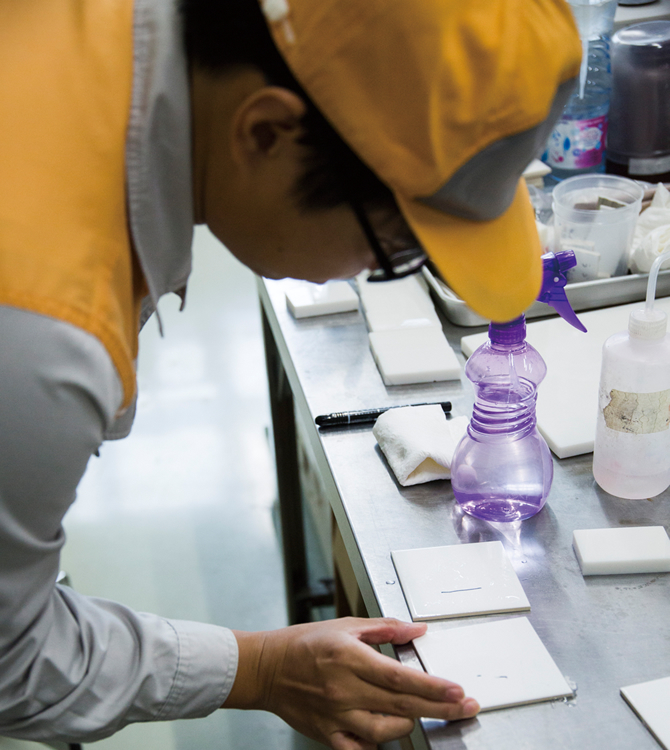 LIXIL, which has operations in more than 150 countries and employs more than 80,000 people around the world, is planning to incorporate AQUA CERAMIC in its range of other household equipment, including washstands, toilet sinks and other ceramic products. With the expansion of the GROHE brand in the European market, LIXIL also began offering the Sensia Arena shower toilet, built to European specifications and featuring AQUA CERAMIC, from September 2016.